Create an original video for any FuMP song and you could win two free badges to FuMPFest 2020 with 2 nights in the hotel! Entries will be screened during Opening Ceremonies on Friday evening. The winners will be announced during Closing Ceremonies on Sunday afternoon. You do not need to be present to win. Email us a link to where we can view the video online (YouTube, Vimeo, etc.). *If you are already a FuMP subscriber your subscription will be extended by 6 months, or your recurring payments will be put on hold for 6 months, whichever applies. To enter just make a video and post it to YouTube as "unlisted." Then send us the link by July 31, 2019. That's it! There aren’t a lot of rules but we do have a few things we need to keep straight. No copyrighted images or videos. You must shoot, animate, or somehow legally acquire everything that is seen in the video. Captured video game footage is OK as long as you are the person who captured it. Get creative! All links must be submitted by July 31st. You do not have to be attending FuMPFest to enter. You do not have to be present at Closing Ceremonies to win. Artists who have had a song featured on the main page of the FuMP are not eligible. However, artists who have only had songs on the Sideshow may enter. Once the contest is over you may publish your video on your YouTube channel if you wish. The FuMP does not assert any ownership to your video beyond the original Creative Commons license for the song you chose which still applies. 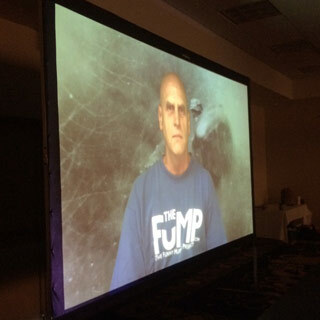 The FuMP may or may not link your video on our Videos page and/or feature it elsewhere on our web site. Prizes may not be exchanged for cash but may be deferred or swapped with other items of similar value. No purchase necessary. Void where prohibited. Blah blah blah.